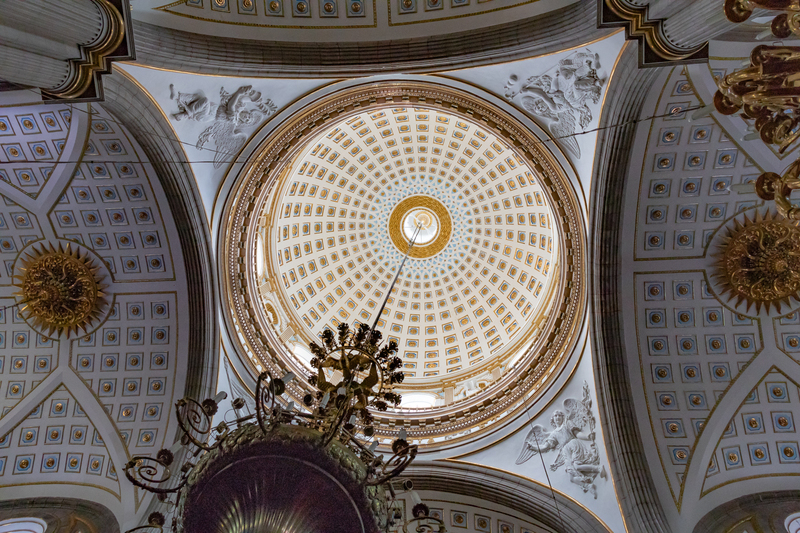 The interior of the dome over the crossing of the Catedral de Puebla. Construction of the Cathedral of Puebla started in 1557 and was not completed for another 211 years. When it was finally finished in 1690, its two bell towers (one of which has no bells) stood at 226 feet, making them the tallest in Mexico and perhaps all of Latin America. In terms of square footage, the cathedral is the second-largest in Mexico, after Catedral Metropolitana in Mexico City. The building is designed primarily in neoclassical style. Inside, a beautiful gilded octagonal altar designed by Manuel Tolsa dominates the center of the room. The octagonal altar inside Puebla’s Cathedral. 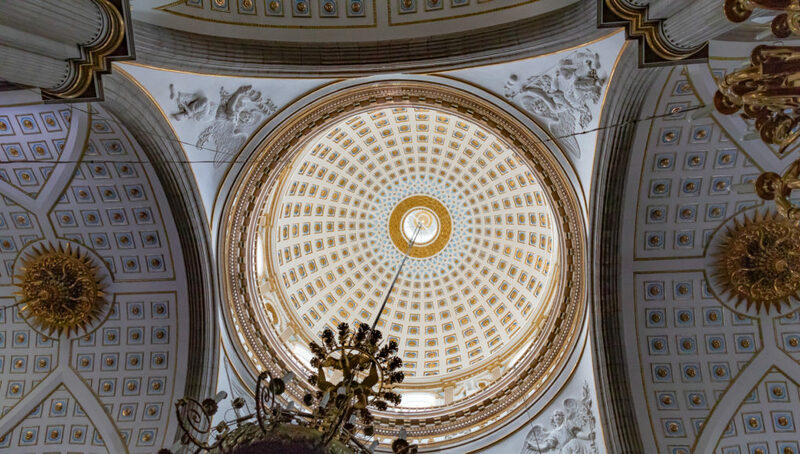 The apse of the Catedral de Puebla. The gilded seal on the octagonal altar in the Catedral de Puebla. An interior wide view of the Cathedral of Puebla.